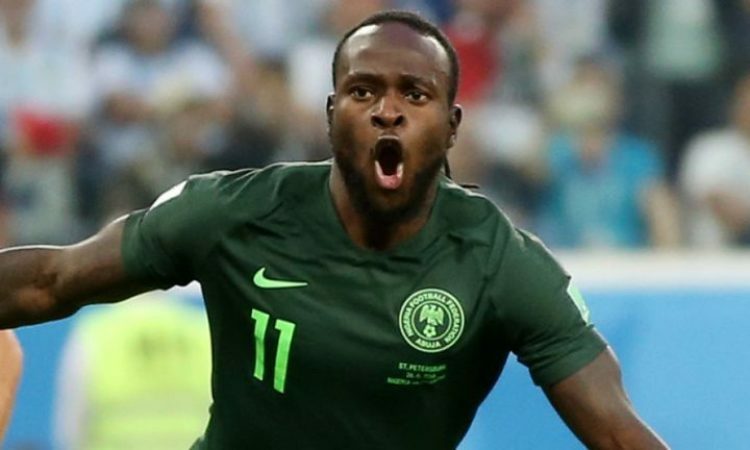 President of the Nigerian Football Federation Amaju Pinnick has reportedly set a meeting with Nigerian footballer Victor Moses, in a bid to discuss his future with the Nigerian team. Pinnick admitted that Moses made an intransigent decision about his retirement from international duty as he has been in communication with the Chelsea man. Pinnick however stated that following the successful impact of the former Wigan Athletic winger during his short time for the Super Eagles, he would like to appreciate the Chelsea player with a befitting send forth in the event that he does not want to grace the Nigerian jersey again. Pinnick disclosed: “I am talking to Victor Moses because I believe he’s somebody that has paid his dues. He shouldn’t just leave Nigeria unceremoniously and I told him that. ”He has paid his dues. I recall the Nations Cup we won, the game we played against Ethiopia, ten minutes to the end of the game, he scored two penalties and those penalties catapulted us to the quarterfinals. ”Even if he says I am begging him, I don’t mind. It’s not as if there are no players there but we should encourage our players. The others when they say they are retiring, maybe it is out of ego.